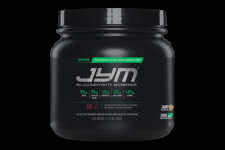 "... Alright guys.. well I am pretty new to training and pre-workouts but this is my 4th one. I can honestly say it's by far the best. I get awesome pumps and I don't get those itchy effects like C4. I find my strength is improving a lot too. Good work Jim!" The Ultimate Pre-Workout Supplement that Started a Revolution! For those who have been around in the supplement world from the start will know that there have been plenty of evolutions in the pre-workout world. The original we'd have to say was NO-Xplode by BSN and since then many others have taken on the challenge. What happened over the years is that companies pushed the limits and added illegal and very dangerous ingredients in to the mix and in most cases, hid all those dangerous ingredients in "proprietary blends". 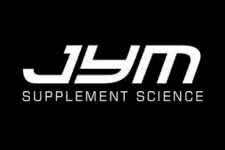 JYM took all of that to the side curb and introduced a full listed label of ingredients with the exact items and exact dosages. Nothing to hide and for the customer, a tale of exactly what they are taking. Just by the massive size of the scoops which can match and protein sized scoop, you know you're getting a real and proper dosed serving instead of those ridiculous concentrated tiny scoops we'd been brainwashed to use in the meanwhile. 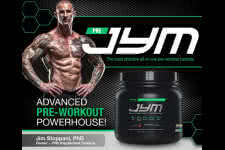 You get focus, strength, endurance, recovery, pump and more each time. Try on this product and you'll never look to another again. Now also available in ALL-NATURAL ingredients! Explore 6 refreshing flavors to fuel your best workouts ever!